Friday morning marked another milestone in a years-long project to improve I-5 through Tacoma. After a two-year closure, McKinley Way over I-5 reopened. The overpass closed the summer of 2016, when contractor crews working for the state demolished and rebuilt it to make way for additional lanes on I-5. "We truly appreciate the patience people showed while detouring around this closure," state project engineer Gaius Sanoy said. "This is a huge milestone signaling that we're reaching the end of this project." But the project isn't over. Construction to build a new southbound I-5 bridge across the Puyallup River is slated to begin in February. 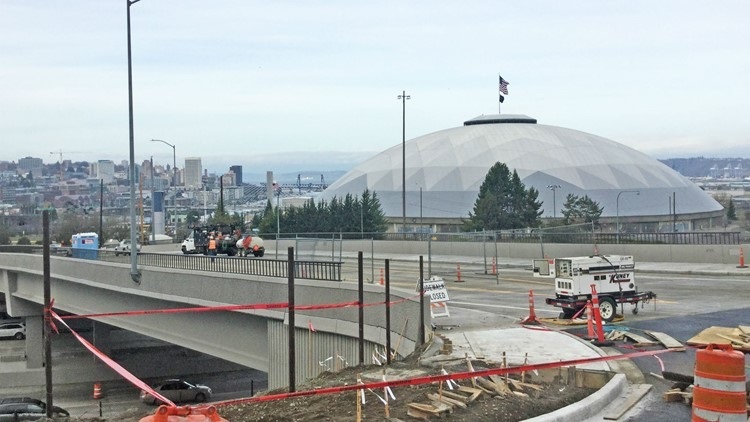 Crews will demolish and replace the L Street overpass spanning I-5, as well as finish replacing the concrete pavement on I-5 between McKinley Way and Portland Avenue.